Organized by six-time endurance run champion Joey Almeda, Cannonball Run Circuit 2016 brought together hundreds of car and motorbike enthusiasts, and put each participant through a gruelling 24-hour ride that traversed Northern Luzon, from Oxford Hotel, Pampanga to Pagudpud, Ilocos Norte. 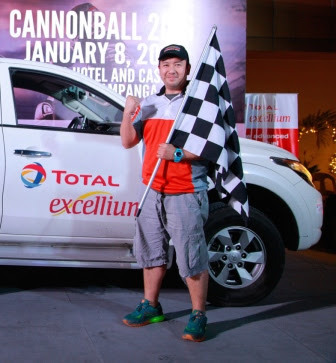 For the hundreds of participants, including car enthusiast/drivers Michael Sabido and Henry de Leon of Miata Club Philippines, Cannonball Run Circuit 2016 was the ultimate test of focus, endurance, and stamina. 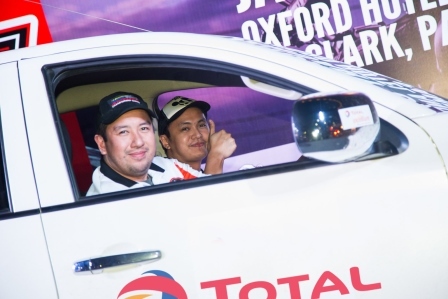 TOTAL Excellium, the world’s leading fuel, was one of the proud sponsors of the premier motoring event. TOTAL Excellium, every driver’s trusted and reliable partner, wanted to prove that part of being a smart and responsible driver/ rider was ensuring that your vehicle is primed to conquer the road. And with TOTAL, you will see the unique difference. Your engine will perform over and beyond expectation, maximizing fuel efficiency and delivering a smooth, clean run. Any race and road can be conquered. 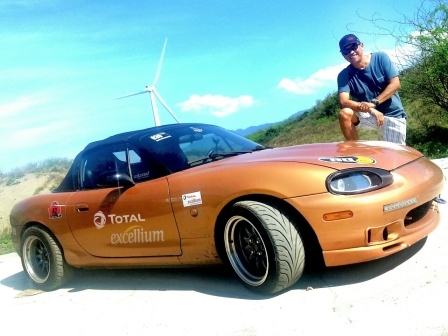 A second time participant, Henry de Leon, a car enthusiast since the age of 15, satisfied his need for speed by taking on the Cannonball 2016 with his Mazda Miata NB 1999-2000. “The Cannonball event is a challenge for both man and machine. It requires physical preparation. You need the mental focus and quick thinking to navigate some of the hazardous roads along the way.” While the route provided all drivers scenic views of the country’s most beautiful landscapes, it also tested the mental and physical fitness of each participant. “You have to be 100% focused and committed. 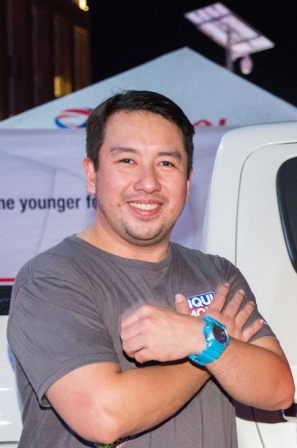 You have to clear your mind of anything that could distract and cloud your judgement as a driver,” shared 39-year-old Michael Sabido, who conquered the run on his Mitsubishi Strada 2015. “The experience was life-changing. It wasn’t only because I was able to finish it, but because I was able to share the experience and success with my brother, Mickz Sabido. We made history,” beamed Michael. In endurance runs such as Cannonball 2016, which give participants only 24 hours to accomplish the route, drivers work in tandem, taking on shifts as they conquer the open road. “It’s a partnership of trust. The whole run is very tiring, but the adrenaline is there!” he adds. Confidence in your co-driver, in your machine, and in your fuel provider is key to winning. While a man can expend his energies for only a few hours, his body eventually giving way to tiredness, fatigue and sleep, thankfully, TOTAL Excellium delivers 24-hour continued performance, even on rough and strenuous roads. According to the two experienced drivers, it is not enough to prepare yourself mentally, physically and emotionally for the race, your automobile must be equally in tiptop shape to overcome the extreme challenge. And for this particular race, the two drivers looked to the best fuel provider in quality and performance, TOTAL Excellium. Perfect for endurance races such as Cannonball 2016, TOTAL Excellium cleans and protects engines, delivers optimal engine performance, and has less carbon and harmful emissions compared to other competitor fuels. The result is a cleaner engine, which means greater performance from your car as it uses less fuel, lasts longer and produces fewer CO2 emissions. TOTAL Excellium is, indeed, the fuel of the new, modern driver, one that continues to deliver kilometer after kilometer. “Vehicle preparation is vital for this kind of event. An engine running for 24-hours non- needs to be fined tuned and be in exceptional shape. TOTAL Excellium fueled my car all throughout the journey. My engine as able to reach and maintain peak performance because of the high grade quality of TOTAL petroleum,” shared Henry. After emerging victorious, the two drivers share their thanks to their family, friends and sponsors, including TOTAL Excellium, the fuel product that enabled them to drive longer, go further, and perform better.